Every year, from April to November, I go to Santorini with my wife so I open bookings to do portrait photography while I’m there. Read customer testimonials on facebook or a blogpost about a photoshoot with me. You might also look at my terms and conditions for frequently asked questions. Okay, so you want to have pictures of that very unique spot? I get that request sometimes, so why not! We set a meeting point, we take pictures, you leave happy and with great pictures — Easy. This is applicable in Oia only. Wandering around the area of your choice, we will make memorable photographs in a short yet fast paced photoshoot. Quite short, but good if you have very young kids with you. 5 - 7 locations, 1 village. Just like the photoshoot package, expect that we will be going more in depth to get the most of the photoshoot, no rush here, just great photos. Don't leave frustrated and allow yourself a little extra time to get these extra perfect shot, that's the best value package! 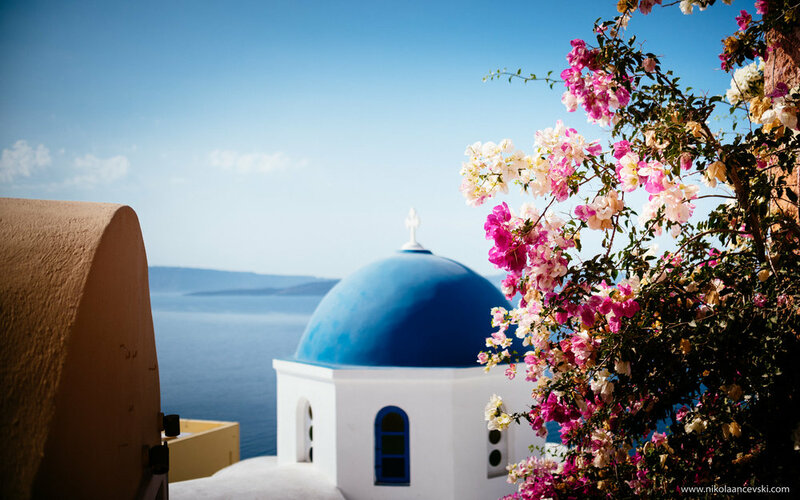 A reportage-like shooting of your stay in Santorini, we can do both a great photoshoot and explore some nicest places on the Island.